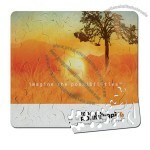 Product Name: Pieceless Puzzle 8 1/2” X 7 1/2"
Puzzle mouse pad /coaster – ready in 5 working days. 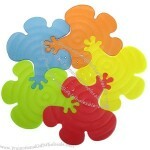 The continuous puzzle mouse pad pulls apart into one piece - so it won't end up in bits and pieces. Once you get connected, it can be used as a mouse mat or coaster. CPSIA ok! 4 color process, sublimated printing. Packaged in bag with insert card. 5 days production after approval. 8 1/2" x 7 1/2"
Price includes the same one-color imprint on each side. Doubles as a coaster or paperweight. Copyrighted design. Featuring the option of VibraTec four-color process imprinting; please call for details and pricing. Rush Service not available. Art crossing the seams will not align perfectly; might not be sharp and multi-color art could be slightly out of registration. 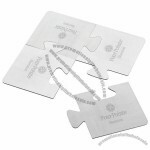 Stock-printed envelopes supplied with each brain teaser along with a printed instruction sheet. Rush Service not available. White Envelope with Promotional Copy and Instructions. Price includes one color, one location Silk Screen imprint. 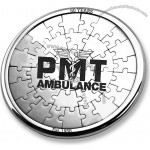 Other imprinting options may be available; please call for details and pricing. Packaging: Black matte gift box; Units/Ctn: 100; Weight/Ctn: 32 lbs. A fun way to enhance your logo. 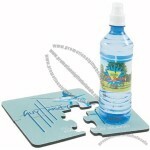 Can be used as a mouse pad or separated into 4 durable coasters. 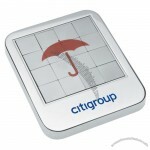 Great traffice builder at your next trade show. 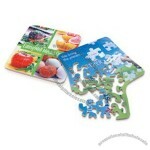 Product Size:8" X 8" X 1/4"
Add additional 3/8" to imprint area for full bleed. Packaging: Gift box; Units/Ctn: 50; Weight/Ctn: 20 lbs. Packaging: Gift box; Units/Ctn: 50; Weight/Ctn: 22 lbs. 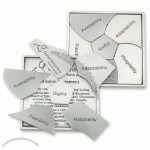 Design your own Custom Puzzle - The Perfect “Event” Favor / Memento! Your Custom Art becomes the Puzzle Design. Superb for: Seminars, Conferences, Sales Contest Teasers, College Crests, Logos, Holidays, Buildings, Ad Taglines, etc. Endless Creative Possibilities - Fund Raisers - Building Campaigns - Weddings - Etc. 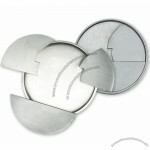 Custom-made Puzzle Coaster From China Factory, Low price Puzzle Coaster, Top Quality, True wholesale source for original!